The day of the doughnuts! Oh yes. Thats right. DOUGHNUTS. One of the most fattening bakes possible, but pretty darn irresistible in my books. 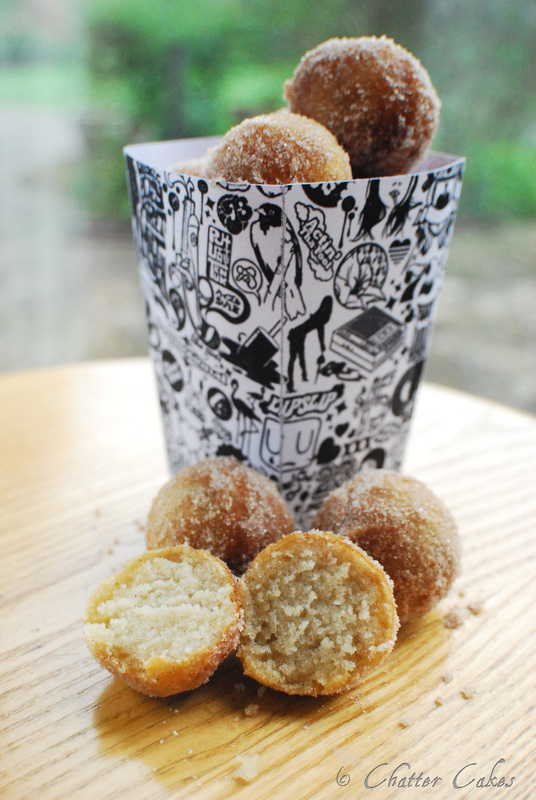 So today being National Doughnut day, I just had to use that as an excuse to make up a batch! I have very fond memories of mini doughnuts, from when I was little. I used to have to go to a hospital in East Grinsted every so often to have minor operations, and my mum would take me. I would always look forward to the journey home again after though, as – and I know the general reaction would be euuggh – we used to stop by a Little Chef on the way back. All for one reason…mini doughnuts with chocolate dip! YUM. I made a basic doughnut mix and added just a touch of cinnamon. Once cooked, I dipped them quickly in melted butter and then rolled them in a cinnamon and caster sugar mixture. They were so delicious, and enjoyed for dessert after a delicious meal Glenn made. I’ll hopefully have a photo up tomorrow of the cake I finished today! Another fun one to make. I’ll also feed back on Belle’s Vintage wedding fair that I’m going to visit tomorrow. I can’t wait, as I think it will be right up my street and hope to take part in it in September. i want some of theses! !